Occupants of a College Park home are fortunate to have escaped their burning home early this morning. 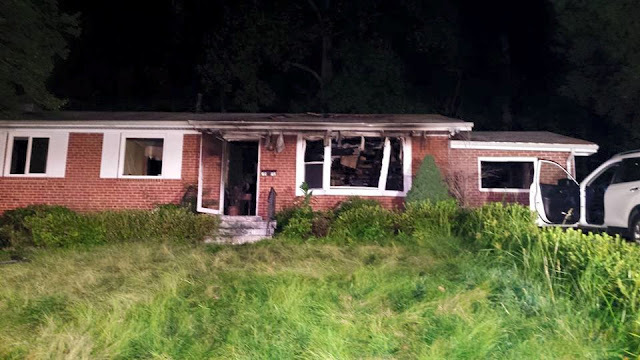 Just before 2:00 am, Monday, July 18, 2016, a fire of undetermined nature occurred in a home in the 7500 block of Edmonston Road. The home occupants, an adult and a child, were not provided an early warning from a smoke alarm and had to rush out through the heat and smoke. The adult was treated for smoke inhalation on the scene but refused transport to a hospital. The American Red Cross of the National Capital Region assisted the displaced residents. Firefighters from the Berwyn Heights Fire/EMS Station were the first to arrive and advised of smoke showing from the front. A fire was quickly found and extinguished in the front living area of the home. The cause of the fire is under investigation. Fire loss is estimated at $20,000. Having a working smoke alarm can be the difference between surviving or dying in a home fire. Having a working smoke alarm increases your chances of survival by 50%. Combine a working smoke alarm with a planned and practiced home escape increases your chances even more. It’s a law we can live. County Law currently calls for a smoke alarm on every level of your home, primarily just outside of sleeping areas. If you have a fireplace, natural gas service and/or an attached garage, you must also have a working carbon monoxide (CO) alarm as well. The law will also soon take effect that will require all alarms to be a 10-year, tamper proof, alarm available at all home improvement stores. The Fire/EMS Department recommends that you sleep with your door closed and a working smoke alarm installed in each bedroom. 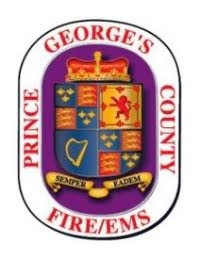 The Prince George’s County Fire/Emergency Medical Services Department has a smoke alarm program that allows homeowners that cannot afford to purchase their own to call and request a smoke alarm to be installed in their home by a firefighter, free of charge. Simply call 311 and ask about our free smoke alarm program. Damage from the fire and heat can be seen around the front door and windows of this home on Edmonston Road. County Kickball Championship Game This Thursday!!! The championship stage is set. 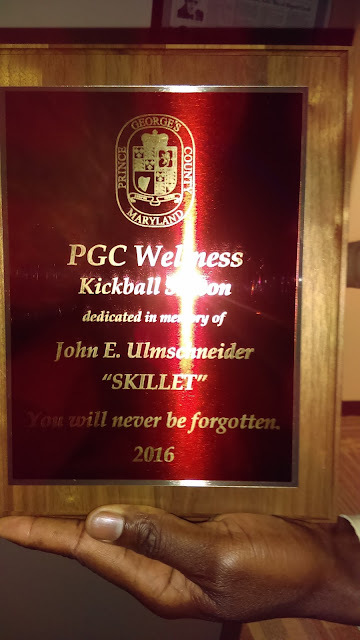 in the Prince George's County Wellness Kickball Championship. 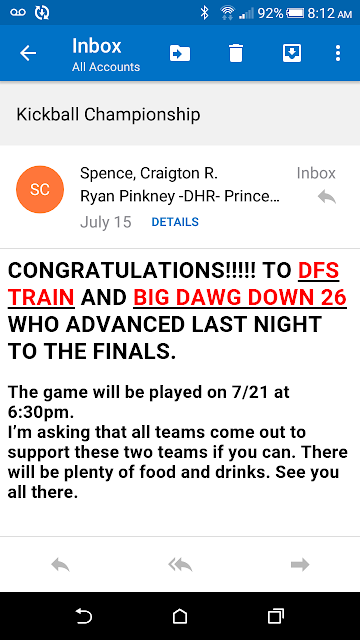 The game will take place this Thursday, July 21, at 6:30 pm at the FOP Lodge Field on Route 202 in Upper Marlboro. Plenty of fun to be had at these family-friendly events. 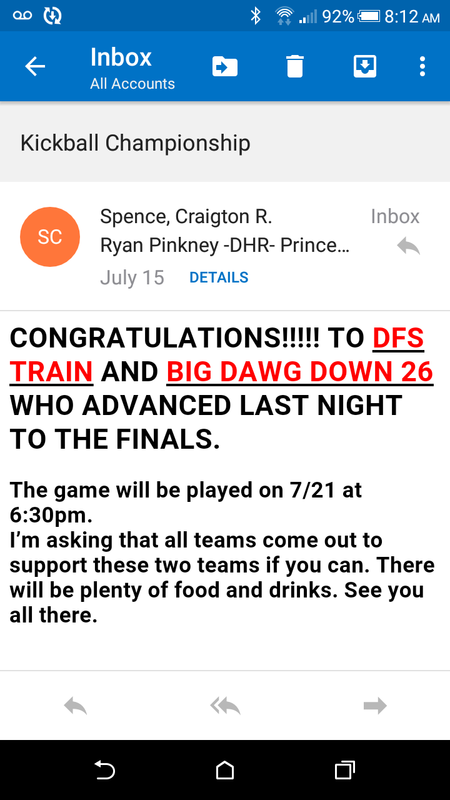 Help cheer on the "Big Dawg Down 26" kickball team to victory!! !